Key benefits of freeware Computer Monitoring Program ? 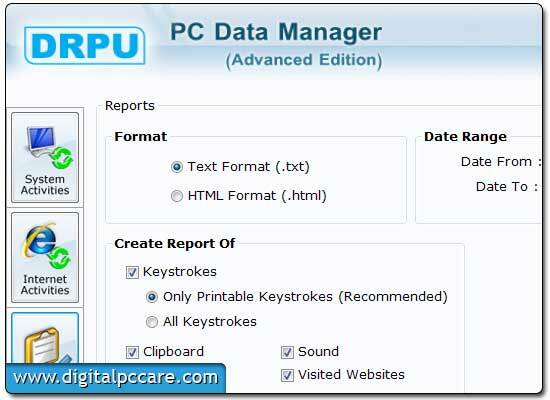 ?“ well designed keylogger software from www.digitalpccare.com to effectively monitor and record all computer system activities even online or offline made by guest users. Advanced PC monitoring tool has option to generate log report of all recorded activities in encrypted log file that can be sent later at predefined email address using FTP or email setting. Follow us on G+: https://plus.google.com/114961883982836131054 to know new releases updates.